Whether you spend your day working outdoors in the wilderness or simply enjoy the serenity of nature in your spare time, it’s important to protect your legs and feet from the unknown. Relatively uninhabited areas can house deadly snakes. They are known to hide in grassy and bushy areas, making them difficult to see. While snakes generally keep to themselves, it’s not uncommon for them to strike when they feel danger approaching. In fact, most snake bites occur because of humans accidently encroaching upon their territory. Because of their clever camouflage, it’s not always easy to spot them before it’s too late. To avoid possibly deadly injuries, it’s a good idea to wear snake-proof gaiters or chaps. Regardless of the activity you are doing, these easy-to-wear accessories will protect you from the painful bite and potentially deadly venom from a snake. 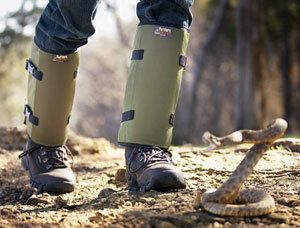 Gaiters and chaps are a great affordable alternative to more expensive snake proof shoes. They work well with normal shoes and attire, allowing you to slip them on before you go outside. Furthermore, they are flexible enough to remain comfortable, yet strong enough to be impenetrable to snakes. Here are some of the best snake proof chaps and gaiters available. These chaps from TurtleSkin are incredibly light and versatile. They don’t weigh you down like other options, yet still provide great protection from snakes. It has special SnakeArmor technology below the knee, where you are most vulnerable to snake bites. The material is much thicker and tested on live rattlesnakes. In addition to snakes, the chaps protect your from stubborn thorns and briars as you make your way through the brush. At the end of the day, the chaps are machine-washable. This makes maintenance and upkeep a breeze, allowing you to go back to exploring in no time. If you’re looking for ultimate protection, these chaps from Crackshot are a great option. 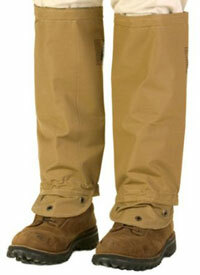 They are made from nylon and are specially treated with water repellant, keeping your pants underneath dry. Below the knee, thick polycarbonate inserts protect your legs from the fangs of an angry snake. The chaps also help you avoid painful encounters with thorns, cacti, and other obstacles. With a relatively light weight of 15 ounces, you can comfortably protect yourself through any adventure. 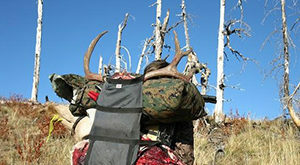 They attach to the belt loops of your pants and have a quick release buckle for easy preparation. They also have a full range height adjustment to ensure that they fit perfectly. These camouflaged chaps from Rattler are great for guys that want to blend in with their surroundings. Great for hunting and exploring, these chaps will keep you safe throughout your journey. They are made from 1000 denier nylon, which is puncture and snake proof. A thicker and more rugged material is used from the ankle to the knee. To keep you dry and comfortable, the chaps are covered in a polyurethane coating. The water-resistant coating is perfect for wet and muddy environments. Adjustable straps are included to make getting a custom and safe fit a breeze. TurtleSkin is a trusted manufacturer of protective accessories. Their gaiters are no different, offering a superb level of protection against dangerous snake bites. The unique SnakeArmor material is light, yet durable enough to keep you safe. It’s also breathable and water resistant. 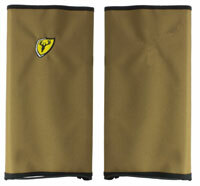 The gaiters will easily fit most men and women and are foldable for easy storage. They come in a few different colors and are reversible. A small flap on the bottom covers up a portion of your shoe, ensuring you are fully covered and protected. 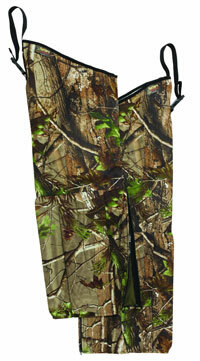 Another great option from TurtleSkin, these gaiters are designed with maximum protection in mind. They differ greatly from typical gaiters in design and construction. 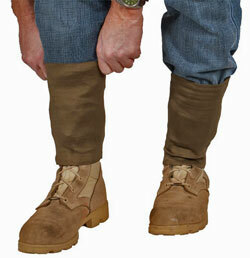 Most gaiters are stiff and bulky. However, these are made by tightly weaving robust ballistic fibers and polyester, making them flexible and tough. The tight weave makes them virtually impenetrable by snakes and waterproof. That being said, they are very light and comfortable to wear. These gaiters have an adjustable elastic band and a rustproof zipper. They are reversible and have a camouflage print on one side. These gaiters are tough, yet comfortable and easy to wear. Made by Whitewater, they are carefully designed with convenience and protection in mind. The material used is a poly-cotton blend. This material is already quite durable. However, it is also laminated to add strength and durability. This lamination process doesn’t make them cumbersome and loud, allowing you to stay quiet through the bush. They have a contoured shape that comfortably wraps around the shin. Two buckles secure them into place for a custom and snug fit. If you plan on venturing through snake territory, you’ll want to make sure that you have the best protection possible. While numerous options with gaiters and chaps are available, they’re not all made the same. Not all companies use the best materials or even test their products on live snakes. 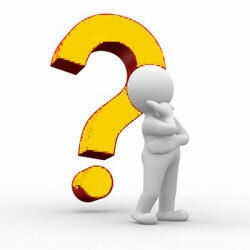 It’s important to know what to look for when buying chaps or gaiters. A high-quality product will give you peace of mind wherever you venture. Layers are important when it comes to protection. Whether you decide to go with gaiters or chaps, it’s important to find an option with multiple layers of protection. With chaps, you’ll find that a thinner material is used throughout. Multiple layers are usually only located below the knee. Gaiters are comprised of multiple layers throughout the entire design. The number and composition of the layers will determine how protective a product is. You want to look for an option with multiple thick layers that are impenetrable by fangs. Usually, manufacturers use a thick outer layer, a few layers of padding, a waterproof membrane, and a liner that goes against your clothes. These layers all have their own jobs. The outer layer protects against basic abrasion and scratches. The padding beneath it is usually puncture proof and prevents a snake fang from going any further. The waterproof membrane ensures that venom doesn’t soak through while the liner adds comfort. Some manufacturers also use thick plastic to protect against bites. This thick plastic is usually accompanied by a fabric covering and simply acts as a shield. Both gaiters and chaps are made for use in the wilderness, so they need to be comfortable enough for prolonged wear. It’s not uncommon to see stiff options on the market. While they are great for protection, they can be incredibly cumbersome and loud out in the brush. Newer technology has allowed manufacturers to create thin and flexible fabrics that are just as resistant to snake bites. The fit is an often overlooked aspect of gaiters and chaps. These accessories must fit properly to provide adequate protection. Loose-fitting options only create more vulnerable spots for snakes to bite. It’s a good idea to look for contoured designed and secure straps. 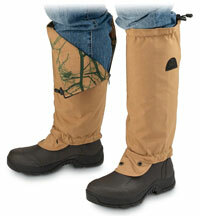 Contoured gaiters will wrap securely around the leg and provide no wiggle room for snakes to get into. Many chaps also have adjustable straps that allow you to get the perfect fit. Both chaps and gaiters should cover the entire lower leg for maximum protection. All in all, snake proof gaiters and chaps can be a huge lifesaver. Their unique design and construction can protect you from even the most aggressive snake. Instead of walking through the bush blindly, walk with confidence knowing that you’re safe regardless of what you may encounter.